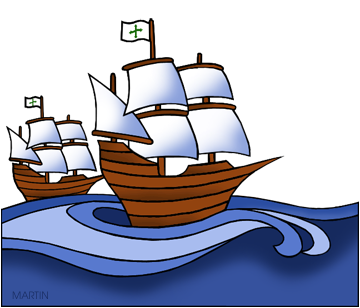 Return to the previous page of Columbus Clip Art or go on to American History, World History, Explorers, Geography, Continent Maps, Country Maps, Regions and the Clip Art Home Page. Many people in the New World celebrate the official anniversary of the arrival of Christopher Columbus, October 12, 1492. The names vary from Columbus Day, Discovery Day, National Fiesta, Day of the Americas and Day of Respect for Cultural Diversity. Of course, there are also people who want to have nothing to do with a celebration of Columbus because of the treatment received by the local people. Instead, they celebrated Indigenous People Day.